Elizabeth is a concrete apartment building by Mosaic Homes. It is located adjacent to Queen Elizabeth Park. The style of the building is quite modern with the 'crown' look on top of it. 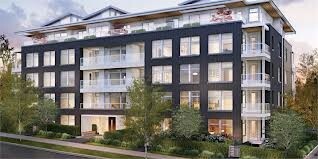 The building pre sales started in December 2012 and it is now sold out. The building completion is said to be around late 2014.